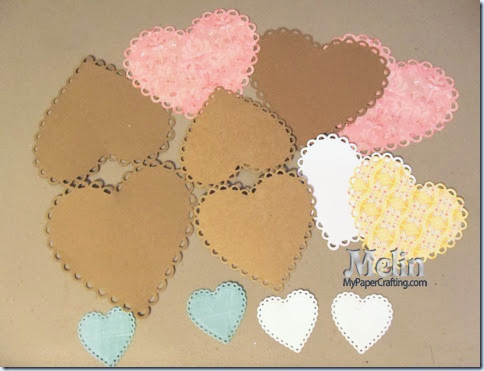 Today I am sharing a project for my Scrapyland.com DT. 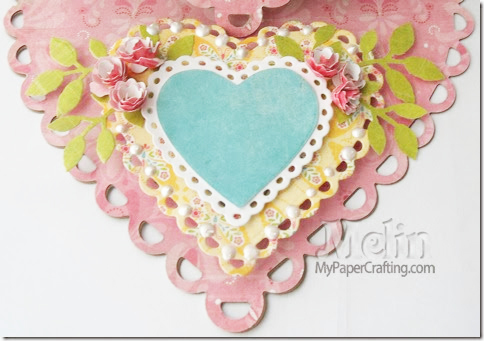 I created a heart shaped easel card. I made this card using all “manual” dies. Here is a photo of my completed card. All the papers I used for this card with the exception of my Kraft and White Cardstock came from the Basic Grey Urban Prairie 6x6 Paper Pad. I started by selecting some kraft paper. I measured to make sure I had a piece big enough to be folded and yet made room for the whole die. I did this with the two largest dies in the pack. I folded the paper and scooted the fold to where it was just shy of the top two scallops. 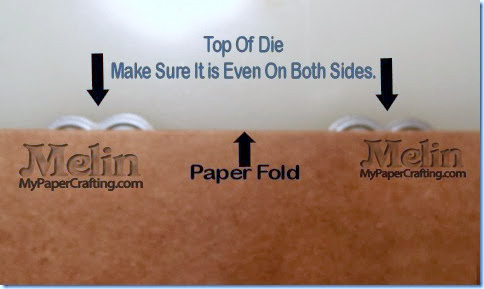 By leaving the top two cut lines exposed, it allowed the “fold” to stay in tact. This created the card body. Here is a closer view showing how the paper looked still in the die. You can see the fold on both scallops are within the scallops. 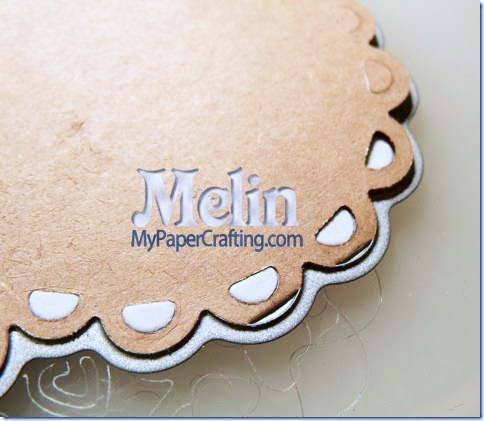 I had no problem cutting the cardstock with the "double thickness" I used my Cuttlebug for this project. Here is what the two “card” bases looked like. I made one smaller so I could layer it on to the larger one. It will make sense when you see the rest of the photos. Also making the bases on the kraft cardstock gave the card a good sturdy base. Because I wanted to create an easel card, I had to create a fold in one of the flaps. I used my Martha Stewart Score board to line up my card so I could get a straight line. Here are several of the dies. 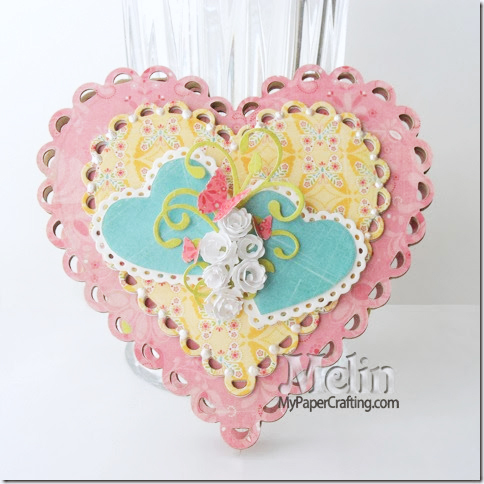 The die cut set comes with 5 sizes of the heart shaped dies. It makes it really easy to find the size you need. Here is a closer look at the top heart. 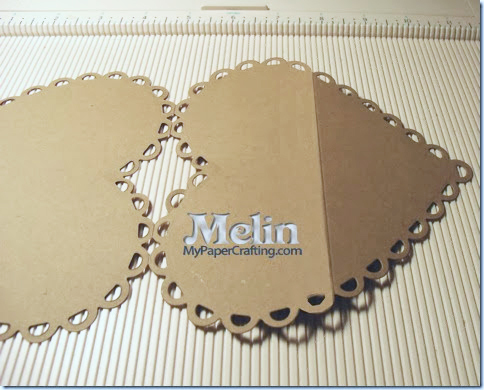 I hand cut the eyelet part off the blue die cut pieces and layered them onto the white heart. I used the White Opal liquid pearls to go around the middle heart. Here is a closer look at the bottom heart. 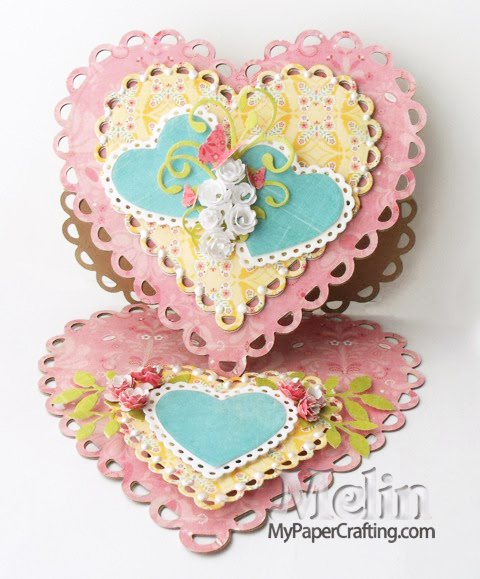 I used foam dots to give the larger heart some lift so the card would stay opened. Here is a shot of how the card looks closed. 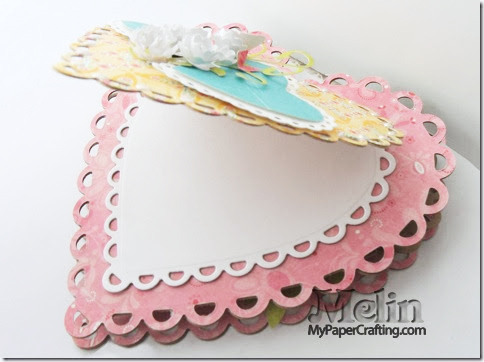 Here is a view of the top heart “card” open. I left it blank so I could write my personal note on the white cardstock. Here’s one last look at the card opened. Hope this inspires you to look at your dies in a different way. 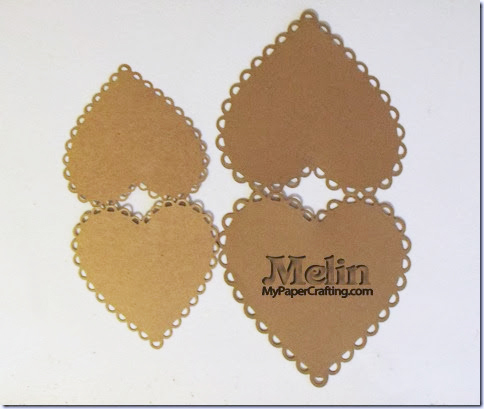 With some of your shapes you could make some very nice card bases! Don’t forget to swing over to Scrapyland.com to check out all of the amazing new releases now in stock!!! This is really lovely. Thanks for sharing tips on how you achieved it. Hello Melin, my first visit but not my last, I am now following! 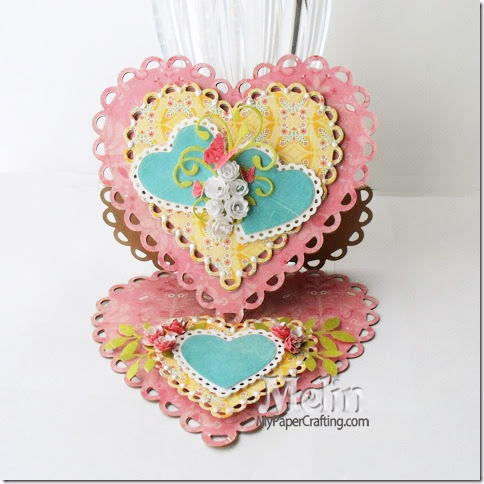 Thank you for sharing this stunning card and step by step photos. 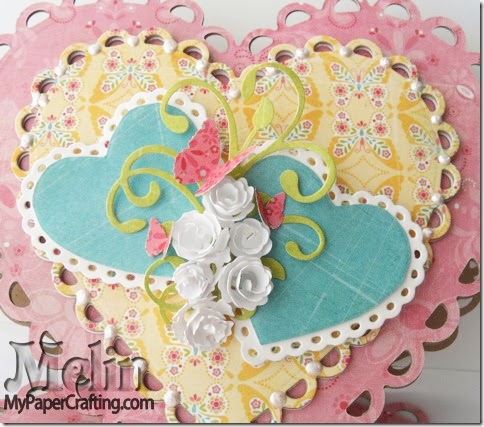 great instructions, beautiful card love the spring colors! This is a beautiful card !!! Thank you so much for the tutorial , these are the funnest to make !! Wow that is so cool. You always have the best ideas.